In her speech, Kelly highlighted a need to expand, noting the closure of Mercy Hospital in Fort Scott two weeks ago and reports of 30 percent of Kansas hospitals considered financially vulnerable. It’s one of Kelly’s top priorities moving forward and State Sen. Tom Hawk (D-Manhattan) says the issue is still a contentious one among conservative Republicans. 66th District Representative Sydney Carlin (D-Manhattan) is optimistic that Kelly will be able to unite members of the legislature around some of the state’s most pressing issues. Carlin applauded Kelly for bringing Sen. Jerry Moran’s recommendation for expanded Medicaid to help rural hospitals as well as former Gov. Jeff Colyer’s own task force which made a similar recommendation. Sen. Hawk and Rep. Carlin agreed that Kelly’s speech highlighted a need for a more bipartisan approach to solving government issues. Carlin also expressed interest in getting to the root of the problems with the Kansas Department for Children and Families. Sen. Hawk says the governor’s tough stance on DCF garnered a unified reaction from Republicans and Democrats in the chambers Wednesday evening. On Thursday, Gov. Kelly released a proposed budget embracing a proposal to phase in a $364 million increase to public education funding over four years, as well as $14 million dollars in the upcoming budget year to expand the state’s Medicaid health coverage. 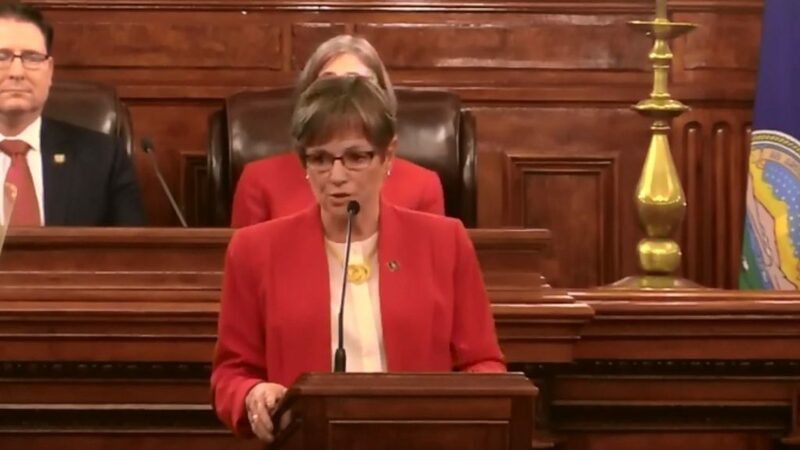 Kansas Republican lawmakers have criticized her proposal which would reduce the state’s annual payments to Kansas’ public pension system. This story will be updated to include Republican reaction area lawmakers 67th District Rep. Tom Phillips (R-Manhattan) and 51st District Rep. Ron Highland (R-Wamego). The post Manhattan-area lawmakers react to Gov. Kelly’s inaugural State of the State appeared first on News Radio KMAN.